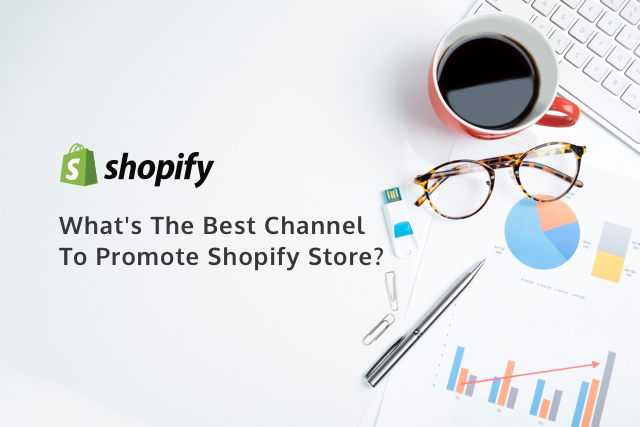 Ep 01 | What’s The Best Channel To Promote Shopify Store? All right everybody, Fred Lam here and welcome to our first episode of our daily huddle. Now, for those of you who have not actually heard about our daily huddle, what our daily huddle simply is is that every single day I’m going to answer five questions. You can ask me about anything; how to build, grow, or scale your business or even talk about the mindset of all those other things. Anything that I can actually help you answer and to help you grow your business, this is what our daily huddle is all about. We’re going to air this daily huddle every single weekday, Monday to Friday at random times and I’m going to answer five questions. If you’re on Facebook right at the top, there’s a post that tells you where you can actually ask your questions or if you’re on YouTube right at the description right below, you can actually click a link and ask me your questions and I’ll answer them every single day. Today is our official first episode that we are broadcasting right now. And I actually have all the questions right on my phone. I’m going to answer five of them then right after me answering every single question what’s going to happen is that I’m going to actually announce our first winner for our kickstart 500. For those of you, who are live with us right now, put in the word excited on Facebook or simply on YouTube if you’re watching on YouTube to tell me if you guys are absolutely excited about all of these right now. Well, I’m getting a lot of people coming in and I apologize if there are any delays. I’m getting Ryan from YouTube. Maple, I can’t even pronounce the names. Danielle, Leo, Jonas, Marlene, Jeff. I got Wilson on Facebook saying, “What’s up Fred? Thank you for all of this huge value stuff. I am super excited to be here.” Here’s what’s going to happen, every single day I’m going to be here and I’m going to answer five questions. Since I’m going to do it now, here’s one thing though there are no campaign reviews, no nothing it’s going to be basically simple, quick questions that I can answer which can help you get unstuck on your business. [0:02:44] Question 1: What's the best channel to promote Shopify store? Facebook has some superbly specific targeting that Google doesn’t even have. I’m not bashing Google or anything right now; I’m just sharing with you that from an online entrepreneur, from my standpoint and especially if you’re just starting out Facebook ads is the easiest. Let’s say that you’re going to sell a yoga bracelet or something along that in lines to that. When you’re trying to sell a yoga bracelet obviously on Google the only place that you can go after is simply anyone who is going to be searching for a yoga bracelet. Now, the search volume may not be that great. However, if you actually start with Facebook ads you can specifically target your ad selling your yoga bracelet to people who are most likely they’re interested in why yoga, they’re interested in yoga in general and even expressing interest in bracelets. Facebook can give you the ability to target those people. Other platforms? Not really, so when it comes to the best, best channel I will say it’s Facebook. According to a recent study that was done by Shopify, 85% of social media sales for e-commerce actually come from Facebook. So, if you really wanted to actually say, “Fred, I want you focused on one specific sales channel for my Shopify store”, I would say by far it’s going to be Facebook. And just by Facebook alone, you can easily scale your business into the multi-million dollar figures just a Facebook nothing else. Obviously, if you were just to actually put all your eggs in one basket that’s a little bit scary, right? What happens if your Facebook ad account got suspended? What if your art creative got fatigued or doesn’t work anymore? Then you have to basically make sure that when you start to focus on one channel, let’s say Facebook right now which I highly recommend, you start basically I say make a 500 or 1,000 box a day then it’s time for you to diversify your portfolio and basically go after Google, go after Bing and go after other traffic sources or sales channel so that you are not just depending on just one single source. You want to depend on your business on multiple sources of traffic. So again, the answer is short; I will say it is Facebook. I hope that helped you out. [0:06:27] Question 2: I'm considering a service based business with an e-commerce division. Which should I start first? When it comes to service-based business that’s all you asked me and I’m just assuming things right now. When it comes to service based, there are two types of service based businesses number one is that you are serving the local market. Let’s say that you are a plumber, you are a carpenter, you have a cleaning service or something that’s local or you may be a locksmith then that is still a service-based business. On the other hand, a service-based business can also be a thing that’s done digitally, so things like web design, graphic, 2D animation, 3D animation so things that can be delivered through a digital format. I’m not sure which service based business you’re trying to accomplish. Let me make an assumption right now that your business is let’s say for gear towards local business, so when your gearing your business towards a local business having an E-commerce element is not going to make a huge play in your business. The reason why I’m saying this is because you’re going to be restricted to a very small group of community or people within that area. Can that business be generating six to seven figures a year? Absolutely, obviously and you were able to actually have a big market share, a lion share of the market share, absolutely that is fine. One thing that I can suggest you is that if you are really running a service based business that’s local, let’s say that you are a locksmith or something then at that point you can have the E-commerce division on selling key chains or basically I don’t know keychain holders or anything in regards to that realm of things that obviously you have a customer in the local area that actually calls you for service which is, in this case, using your locksmith service then you can sell them other things on your store. Now that is possible; however, again like I said earlier you’re going to be restricted to the local community and you are not able to go actually the global market. When you go with the e-Commerce let’s say you’re still a locksmith who’s passionate about keychains I’m not sure if there are any locksmiths that are really passionate about keychains it’s just something that came into my head right now. So, let’s you that you’re a locksmith you want to actually build E-commerce store that’s all revolving around of key chains or something in regards or it related to keys then you can just start an E-commerce store which will allow you to have access to the global market but again, like I said earlier it depends on what your service based company is going to be all about. Do you want it to be solely about E-commerce or you want to actually drive more sales for your service based company? Now, here’s the problem that I see a lot of people take that you Tracy may have that problem too which is you want to actually start in those two right at the same time. People just spread their self-thin especially when you’re starting you get all excited, you want to do this, you want to do that, and now let me say they may be very vulnerable, I am not that person too. Every time I have an idea I want to this, I want to do that, I want to do that but I completely spread myself thin. What you want to do is focus on one thing at a time. 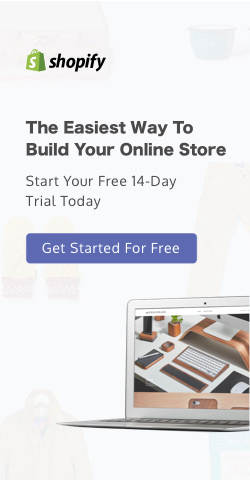 So, the first question to ask you is are you really want to just build a local business that is selling a service that you have and really expand from that or do you want you to know what I just want to sell products and go directly to the E-commerce space where you now have access not just in the local area but the entire nation or the entire world. Now, that is you then I would say okay I’m going to go to E-commerce and I’m going to focus on that first. Now, if you say you want to go after service then you want to go after the service based business side first. So, again there are two takes to that and I hope that really helped you kind of get the understanding or basically stay true to yourself on what you want to go after. [00:10:46] Question 3: If you have to start from scratch, how would you create a list that really can generate profits for you? I've been able to collect many leads but I´m not able to make them to buy from my offers so this is something I want to learn (collecting-warming-selling). I can answer this question in one word, content. You want to provide as much content as possible to your following regardless of that follower is subscribing on your YouTube channel, into your Facebook page or your autoresponder. 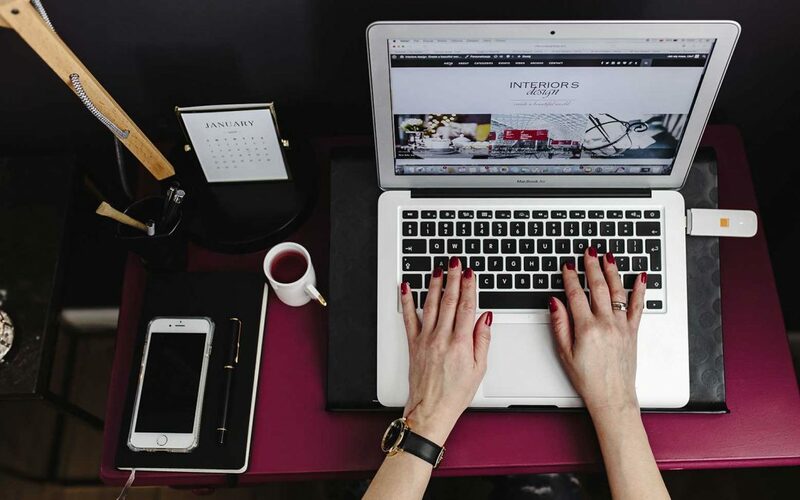 One of the most important things right now is that let’s face it there are more and more people who are coming into the digital online space right now who are trying to create a following, who are trying to create an email list and basically sell them offers maybe your products or an affiliate product so they can actually make money. With that being said, for you to shine out and basically have people really follow and listen to what you say you have to provide content. There’s no way around it. Consumers are actually getting more and smarter every single day. It’s not like back in 1990 or 1999 where the internet was all new; anyone who creates a business can make a lot of money right out the gate because there’s no competition. Right now there’s a lot of competition despite the fact that we have billions of people around the world there’s no competition, right? Let’s say Facebook Ads; I can name on top of my head 10 gurus in the Facebook community or basically who teach about Facebook Ads to have a following about Facebook Ads. Each of them will have their expertise except each of them will have their content and their following, so obviously out of those 10, there’s going to be the consumer who follows different consumers or followers who follow these 10. With that for you to shine out, you have to basically provide some very awesome and create the trust between you and your followers. That’s the most important thing for you to gain that trust you need content and that’s very, very, very important. Going back to your first question because there are two parts to your question, number one was if I were to start again, what would I do? Right now we are in 2017, what is the most-watched I’m not saying a TV show but where are a lot of people spending a lot of time on nowadays? On YouTube watching videos. If I were to restart from scratch and let’s say that knock on wood anything happens that I have to rebuild my business from scratch here’s what I would do; I would just be shooting content videos every day kind of like this right now and post it on YouTube. I would actually look at what people are primarily searching for on YouTube with a lot of views that are within your niche because you are the content expert, you were the person that just get on camera and basically just give your content and give your knowledge away and then under the description simply just have what we call an opt-in link so that they can opt-in in your email address. Through time and this is just what like Gary Vaynerchuk always say is like “Jab, jab, right hook”. You want to keep giving content to these people and then ask them for a sale right away. It’s kind of like going on a date you can’t go into fourth base on day one right. You’re going to work on first base, second base, third base then home run. So, it’s kind of like dating that’s how I look at it when I look at my followings I look at it like I’m dating them right now. I need to slowly educate them, slowly give them more value and move them up and we call this the customer journey. We slowly move them up and that’s where at the end you ask for the sale right away. It is requiring more time and more patient and this is where a lot of people fail a lot of people just don’t have the patience they simply say you know what I think that when I actually start building an opt-in page, I create random free report and I send it out and I get people following me they’re going to buy for me that’s not the truth. You need to actually work on your followers so you can basically give them value, give them content, make them listen to you and from there you can actually ask them to buy this or buy that based on your recommendation. Let’s take me for example, if I were to sell you a product right now, I would say a lot of you guys will take action right away. And the reason why you would take action is that you look up to me; we built the trust I gave you so much content, so much value. It seems like you are “obligated” to buy something that I recommend so that can make money too. It’s kind of like the same thing, and I always call this relationship building. You’re building the relationship with your list so what I would do is simply give out a lot of, capture a following, email more content and then basically sell them products that I will use and basically products that are life-changing for myself. 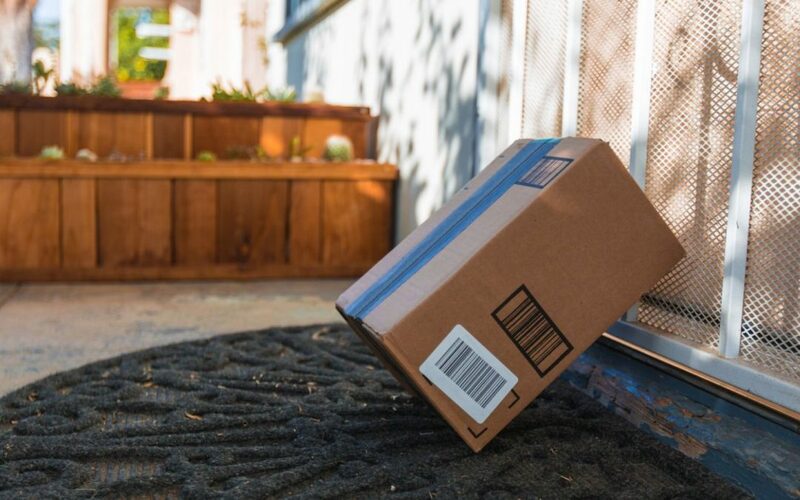 You don’t want randomly to sell products. Consumers are really smart nowadays that they know that the product is going to be a high key product that doesn’t work or if it’s a product that genuinely can help you actually either build a business, make more money, be better at golfing, be better at yoga or all those other stuff, so it’s really depending on that. Don’t go for the sale right away. You have to nurture your following. You have to give them content. You have to get the value, that’s where the trust comes in and that’s where when you start asking them for a payment, this is going to be a lot easier and going from there. How many guys are enjoying this right now? Put a one in the comment box or question box if you guys are enjoying this right now. Bourbon nation said this is very practical. Again, this is what it’s all about. I’m not just going to give you short answers; I’m going to give you like in-depth answers that can provide you guys as a content because let’s be honest there are maybe a lot of people that are in the same mindset or having the same question in their minds that they’re stuck on. I’m getting loads of people giving me one right now. Awesome, awesome, awesome. [00:17:24] Question 4: How did you motivate yourself to take action when you were just getting started in e-commerce? Excellent question. It’s all about the mindset. So what motivates? There’s actually a habit of mine that keeps motivating me; I put in a reward system for myself. It’s actually pretty funny that I thought of a reward system. I recently rewarded myself with a Porsche. You guys may have seen my ad of me driving a Porsche and it’s actually very funny because when I have that ad out everyone has thought that I rented a Porsche and just created a video for that Porsche but the truth is I do own a Porsche. I reward myself every time I basically achieve a milestone. I would say I’m going to reward myself personally, not my family not nothing. Let’s be honest you have to basically reward yourself and feel like you know what if I can actually accomplish this I can simply get that thing that I wanted. Another thing actually, a year ago I simply said to myself and set this milestone I said, “I want to actually have one of my companies to be an honoree of the 85,000.” I said it flat out to myself and I said the reward for that is I’m going to get myself a Porsche. If I were to actually accomplish that I’m going to reward myself on getting a Porsche and lo and behold a year later I got my Porsche, got into 85,000 honorees at the same time and I rewarded myself. It’s actually very important and this is something that I overlooked through the years of building my career which is taking care of yourself and rewarding yourself. And I’m not talking about seeing the reward in dollar figures; it has to be something tangible that you can actually get yourself or you basically making a deal with your girlfriend, with your husband, your wife or someone to basically say you know what we’re going to do this together and this is the reward that I’m going to get if I accomplish this. Each time you’re thinking I really want to get that one thing, you’ll absolutely do anything to actually get that one thing. There are going to be failure points which will demotivate you but at the end of the day if you say like, “You know what this is my stepping stone. This is the process that I know that I’m going over.” And by the time that I hit the angle which is your milestone then guess what you simply reward yourself. So that’s what it is and that’s what I do personally reward myself like this watch over here, I still remember I bought this watch, it’s an AP. This is a $30,000 watch and I rewarded myself a $30,000 watch when I actually hit X amount of sales for one of my businesses that’s what I did. All these small things, rewarding yourself will help you keep motivated and keep pushing forward but one of the most important things that I would have to say is your vision. The reward is one thing, your vision is very important. What is the reason why you created this business? You’re going to ask yourself that question. What is that one thing? When it comes to e-Commerce my real purpose of that business it evolved afterwards but in the initial when I first get started my ultimate vision and goal was to actually provide my family with money that they need and to spread out or inspire people around me like my friends to get them started so I hired a lot of my friends right out of the gate when I actually first started my business I want to take care of them. So, with taking care mentality that started my whole venture and I was like you know what if I can accomplish this, these people or my family will have such a better life; they don’t have to work as hard and all these other stuff. That was the one big vision. And having that big vision in mind will help you greatly but as you grow your vision will get bigger and bigger and bigger and bigger just like at iPro right now for me my personal brand at iPro what I wanted to do is inspire at least 100,000 people to become an entrepreneur and start generating sales online and that’s what I wanted to do and that vision will help me push forward. It will keep motivating me every single time. Here’s one thing that I learned from talking about rewards and everything it’s being de-attached to the end result. This is some personal mindset stuff. When you’re too attached to the goal it will actually demotivate you because you’ll be like, “Ah, you want us here working so hard. I can’t go there, I can’t do that.” But at the end of the day there’s something called the seven laws of spiritual success and obviously, I’m not really that big of a spiritual guy but it is something that my mentor keeps telling me about. Being de-attached to the end result is actually a very amazing thing. What I mean by de-attached is don’t think the process, what I’m going to do next or step 1, step 2, step 3, step 4. What I have to do actually to get whatever I want a reward or hitting a milestone. Don’t be too attached to that process. What you have to do is you have to believe in your mind that you’re going to achieve that. How are we going to do it? The universe will tell you and as much as me not being a spiritual guy, I’m just being open and upfront about it and going from there. [00:23:18] Question 5: I want to know what is the best strategy to get traffic without a budget. Again, let me repeat that question if you guys missed it, I want to know what is the best strategy to get traffic without a budget. Great question! Instagram. I would have to say the engagement level on Instagram across all social media sites right now is just skyrocketing and you’ll be surprised. I was actually doing some research on Instagram earlier and looking at some influencer marketing as well and you know what you’ll see that a pug has an Instagram page dedicated to pugs have more following than a human. That’s how crazy it is. And when you look at that pug’s page you’ll see that they actually have a store selling your products at the same time. I would have to say getting traffic right now, if you want to basically say you know what I want to get traffic right now, get results right away and I don’t have a budget, I would say it’s Instagram. The engagement level is just skyrocketing and it’s just absolutely crazy. And for those of you who are basically advertising on Facebook, here’s one thing that I can share with you is that you should look into running ads on Instagram. The CPM is so far less than anything else but obviously, that requires a little bit of budget. But again, going back into the no budget, post every day, find a niche that has a lot of following. It can be a specific pet or a specific breed. It can be just yoga; it can be a big interest thing. You are to post every day, multiple times a day, be persistent about it, get your following and then in your bio box simply have your store and from time to time post about the products you have in your store. It does require a lot of time and effort because you are not investing money to get traffic. You’re literally going to invest your time to get traffic at the same time but once you actually got a following, it can carry a lot of weight towards your business. So those are all the five questions. If you have a question that you want me to answer in detail there’s a link above this post on Facebook and right on YouTube right below there is the description, there’s a link make sure you click on it, ask your question. Every day I’m going to answer five questions. We’re going to actually document every single answer and every single question and eventually put it all together into a search engine on my website at fredlive.com where you guys can actually just search for a question and it may be answered in the past as well. Today is our first ever episode and our first ever session when it comes to our daily huddle and gain I’m going to do it every single weekday, so put it to me in the question box. If you guys are excited about this and if you guys are learning a lot, you guys absolutely love this well I’m getting a lot of people, I’m getting a lot of like symbols popping by on my YouTube. I absolutely love that. Now, let’s get ready for the most fun part. Today is Monday, I know a lot of you guys hate Monday but I want you to start loving Mondays because every single Monday I’m going to announce a winner of our kickstart 500. For those of you who don’t know what our kickstart 500 is I’m going to briefly mention it. Every single week I’m going to be investing in one serious individual with $500 to actually kick-start their business. We call this the kickstart 500 grant. Through that process, you actually have to submit your story and tell us how you actually going to spend the $500. When we select you, we will email you. You’re going to get email from my team to give you their email address and everything. I just realized that I’m running out of battery on my screen right now so I hope that you guys can still hear me. You are on YouTube or Facebook right now; you can see change battery pack. My apologies the battery is running out right now. Put into me if you guys can hear me right now, so I’ll just do this through audio. I should have changed the battery pack. That’s a new mistake, even I make newbie mistake. I’m getting a lot of people saying me right now. Anyway, with that, if you want to actually apply for a $500 kickstart grant all you have to do is simply go to www.fredlam.com/500 and you will be automatically entitled on getting that at the same time. You know what here’s what I’m going to do—I’m back, I hope you guys can see me. I’m back, very messy desk as you can see. I’m actually steaming this from my webcam right now. So, here’s the winner of this week’s kickstart 500 grant, the person’s name is James Beavis. The first question that I always ask and I want to share the story of why I chose James. James said the type of business that he’s trying to go after is basically e-commerce and here is his story. He said, Hi from the UK. After deciding not to go to the university, I thought I would put a 100% of my efforts to a retail position. I spent six year with one company and was doing well. I was promoted multiple times and was head of other people my age. However, as you know you are still a cog in the machine. I’ve always wanted to start my business. From very young I’ve seen my dad worked incredibly hard to provide for our family with regular 12 plus hours days. He has always said that he hugely regrets never starting his own business. I’ve recognized that and I ain’t following his footsteps spending loads of time in a corporate ladder. After randomly coming across one of your videos with Dan Silva I was instantly hooked. I knew I had to get involved in e-commerce business. I have two Shopify stores currently up and running, although both have been relatively slow the store that I am most passionate about is gym apparel store. 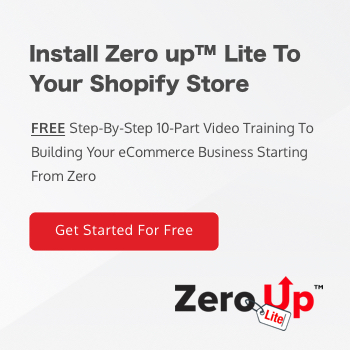 After seeing the success that Jim Sharp has had from initially drop shipping turned out is incredible. The gym itself is a passion for me and being able to work in a sector that I love is an absolute dream. Where do I see this business going? With my dedication and with your expert direction and I am more than confident that the business cannot only achieve what Jim Sharp has achieved but surpass it hugely. So, it is actually very inspiring story so obviously James have been seeing his dad going through the corporate ladder working hours and hours and hours a day and now he sees that he’s seeing his footsteps and he wanted to change so with that I see his determination of really thinking big like I said earlier the vision is very important he is thinking big. I wanted to be bigger than other businesses that are around which is number one competition right now. So, that’s why at the end I chose James Beavis, so James watch out for an email from my team we’re going to basically sending you $500 to kick-start your business and I’m going to give you a checklist on the things that you actually have to get accomplished. And if you accomplished in 30 days I will give you a call and we’re going to get a one hour one-on-one consultation and I’m going to basically share of you, help you and show you how you can actually continue to build, grow and scale with your business. So, if you guys wanted to make sure that you are going to qualify for my kick-start 500 make sure you go to fredlam.com/500 and one of the most important thing is do not have a one-sentence answer. I got a lot of applicants that just give me a one way answer or simply just like a sentence, that’s not enough. If you’re serious about your business you would know exactly what you want to do with the $500, tell me your stories so I know more about you or learn about you and that’s how I’m going to basically choose who the winners going to be for my kick-start 500 grant. So, that’s it for today again if you have any questions simply click the link above or below this video there’s a link click on that and I’ll look forward on seeing you guys tomorrow in our daily huddle and I’m going to do this every single weekday and I hope that me answer your guys questions will inspire you and help you get unstuck.